Every now and then, you’ll hear that a certain secular musician has seen the light and crossed over to the gospel industry. I, however, doubt whether most of them are genuine. First of all, most of them never have a backstory to their salvation. It’s an impulsive move in most cases. My assumption is that if you decide to get saved, there’s a series of events that led you there. You didn’t just wake up one morning and saw it fit to seek redemption. Secondly, for most of these musicians, it’s a business move more than anything because you’ll never hear that so and so who is a secular musician saw the light and quit music or became a pastor. They always dash to the gospel industry which is often perceived as more profitable. You see, Kenya’s gospel industry was much bigger than the secular industry until recently. 5 or so years ago, at a time like now, the biggest hits in Kenya were gospel songs. Bahati, Willy Paul, DK Kwenye Beat, Mercy Masika, Gloria Muliro, etc ruled the airwaves. If you remember, most secular artists got saved and switched to the gospel industry around this time. Interestingly, the secular industry started improving and somewhere along the way it overtook the gospel industry. But that’s a story for another day. For a long time, the gospel industry was bigger because it had structures that were working. Simply put, it was more organized. That’s why award ceremonies such as Groove Awards are still relevant to date. Sponsors could trust event organizers with funds. Artists also had faith in event organizers unlike the secular industry where you were likely to be swindled. And no, I don’t imply that people have never been conned in the gospel industry, the probability is just low…. 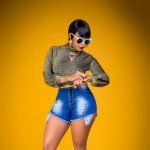 The post Kenyan secular artists are getting saved for all the wrong reasons appeared first on Ghafla! Kenya. Next Post: Caught pants down: Who are your sources Anerlisa Muigai when it comes to recounting your weight loss journey?